6th century cross found during excavations in Anuradhapura, known as Anuradhapura cross. 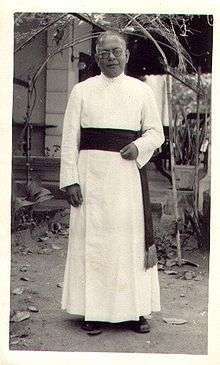 Christianity is a minority religion in Sri Lanka. Christianity was introduced to the island in first century, probably in AD 72. There is a claim that after Thomas the Apostle’s visit in Kerala in AD 52, Christianity was introduced via India due to its close geographical and commercial ties. According to Christian traditions, the apostle Thomas preached the Gospel in Sri Lanka Records suggest that St. Thomas Christians and Nestorian Christians lived in Sri Lanka. Anuradhapura cross is one of the archaeological claims that suggest Christianity in Sri Lanka before Portuguese. Roman Catholicism was introduced by the Portuguese in 1505. There were conversions by Dutch persons in the 17th century, which resulted in a percentage of church members in excess of 10%. The Christian population of Sri Lanka includes members of both the Sinhalese and Tamil ethnic groups. 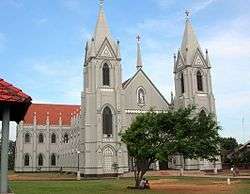 St. Sebastian's Cathedral in Negombo. 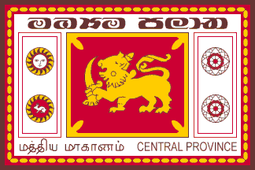 290,967 persons in Sri Lanka (1.43%) are Protestants as per the 2012 census. The Ceylon Pentecostal Mission has about 16,500 church members and 70 churches (faith homes) in Sri Lanka. There are about 2000 people (1998) affiliated with congregations belonging to the Baptist World Alliance. The Lanka Lutheran Church has about 1,200 members. The Church of Jesus Christ of Latter-day Saints claims 1,200 members in Sri Lanka. The main Protestant churches in Sri Lanka are Anglican, Methodist, Baptist and Salvation Army. 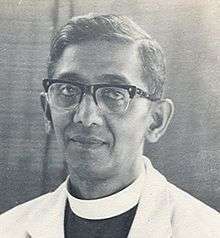 The Church of Ceylon is an extra-provincial Anglican church, while the Church of South India (a united church of Anglicans, Presbyterians, and other Protestants) is a full member of the Anglican Communion and has a diocese in Jaffna. The Anglican Church has a strong effect on people in some areas. Methodist missionaries established 187 schools of which only 2 remains (Wesley College and Methodist College) because all the other schools were taken over by the government. Methodism has over 40,000 followers in Sri Lanka with 45 circuits, 200 churches and 120 pastors. Moratuwa Area and Kutunayake Negombo Areas are the regions where many Methodists live. 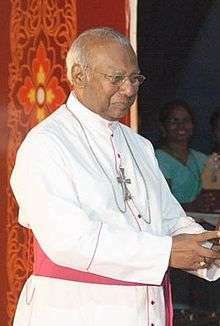 In 2005 and 2006 the Methodist Church of Sri Lanka had a very difficult time during a period of anti-Christian violence. St. Andrew's Church in Colombo is a congregation of the Church of Scotland. For administrative purposes it is part of the Church of Scotland's Presbytery of Europe. As per 2002 year book of Jehovah's Witnesses there are around 4,019 active members in Sri Lanka. ↑ "A3 : Population by religion according to districts, 2012". Census of Population & Housing, 2011. Department of Census & Statistics, Sri Lanka. 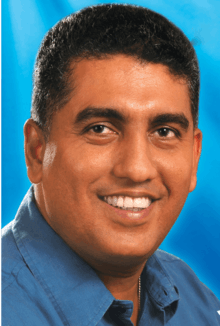 ↑ Mihindukulasuriya, Prabo. "Another Ancient Christian Presence in Sri Lanka: The Ethiopians of Aksum". ↑ Aprem, Mar. "Early Christianity in Sri Lanka and India and Issues of Identity". 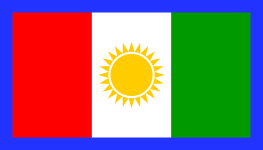 Assyrian International News Agency. Retrieved 26 February 2015. ↑ Hattaway, Paul (2004). "Peoples of the Buddhist World: A Christian Prayer Diary". William Carey Library. Retrieved 26 February 2015. ↑ Pinto, Leonard. "A Brief History Of Christianity In Sri Lanka". 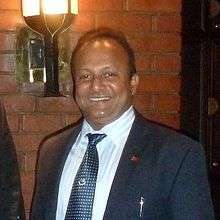 Colombo Telegraph. Retrieved 26 February 2015. ↑ "The Forgotten Christian World". History Today. Retrieved 26 February 2015. ↑ "Mar Aprem Metropolitan Visits Ancient Anuradhapura Cross in Official Trip to Sri Lanka". Holy Apostolic Catholic Assyrian Church of the East. Retrieved 26 February 2015. 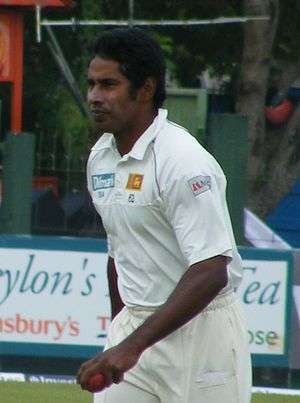 ↑ Weerakoon, Rajitha. "Did Christianity exist in ancient Sri Lanka?". Sunday Times (Sri Lanka). Retrieved 26 February 2015. ↑ "Population by religion and district, Census 1981, 2001, 2012" (PDF). Department of Census and Statistics od Sri Lanka. Retrieved 20 February 2016. 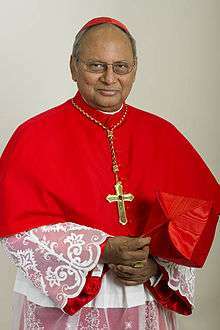 ↑ "A SHORT HISTORY OF CATHOLIC CHURCH IN SRI LANKA". 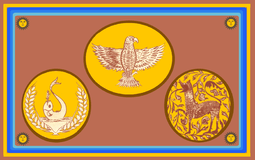 Ministry of Christian Affairs Sri Lanka. Retrieved 20 February 2016. ↑ "Jehovahs Witnesses: Countries Compared". Retrieved 20 February 2016.